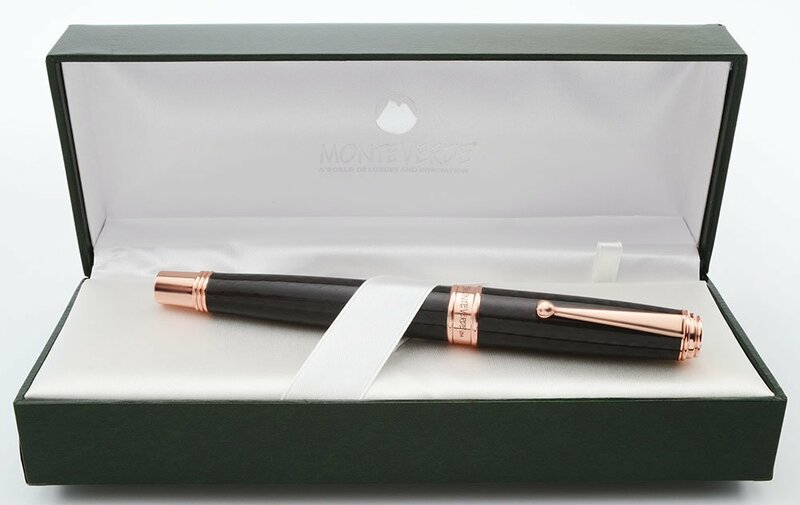 Monteverde's Invincia Deluxe fountain pen. Cartridge/converter filler identified by its rose gold trim and black carbon fiber barrel. Fine black colored steel nib. Near mint condition in box. Filling System It takes international style cartridges and international threaded converters. A threaded converter is installed and the box holds a black and a blue cartridge. Color Rose Gold model. 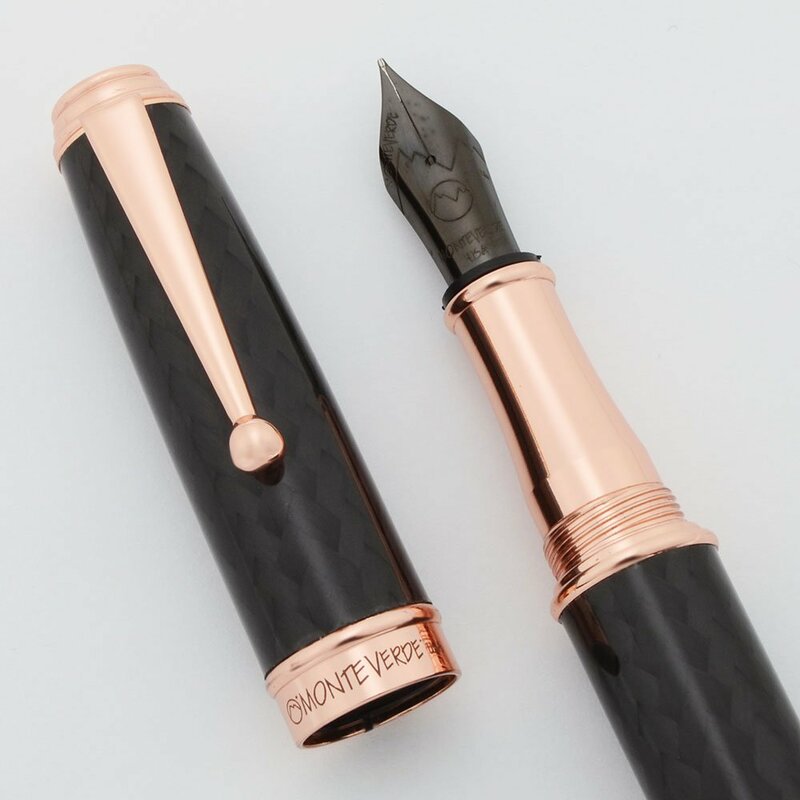 It has a black carbon fiber barrel and cap with rose gold plated trim. The end piece is threaded to better hold the cap. Nib Fine black colored steel nib. You can view the nib size on the side of the nib. Condition Near mint condition. The feed and converter are totally free of ink. There's a chance the pen has never been filled, though the nib is a bit discolored. Ships with box and two cartridges.